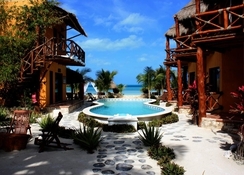 Holbox Dream By Xperience Hotels is located on the care-free Holbox island, off the coast of the Gulf of Mexico, surrounded by crystal waters and spectacular views. This idyllic beachfront hotel features 4-star facilities, with a luxurious beach club, swimming pool and waterslide, relaxing spa and yoga services, a private stretch of palm-lined beach, plus excellent dining experiences – making it a popular spot for families, couples and friends alike. Pretty palm roofs, wooden terraces and rustic details make up the hotel's 47 rooms, with conveniences, amenities and comfortable furnishings divided into six room types to suit all guests. Holbox Dreams' restaurants and bars are set amid peaceful surroundings, offering a relaxing atmosphere for guests to wine and dine among. 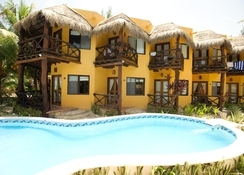 If you want to find out more about the surrounding area, the hotel offers a variety of excursions, so guests can discover what this exotic resort has to offer – from snorkelling with whale sharks to learning more about Holbox island. 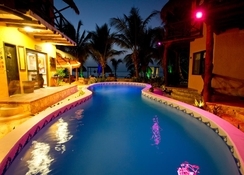 Holbox Dream By Xperience is located on the stunning island of Holbox. It's a 5-minute walk from the centre of Holbox and a short distance from the ferry terminal to Chiquilá and the whale shark tour dock - a popular experience here. The hotel is less than 1km from the Municipal Palace. It is nearly a 3-hour drive to the Cancun International Airport. Each of the 47 rooms at the Holbox Dream joins the colourful excellence of the Caribbean and the Gulf of Mexico with the administrations each guest needs. Air-conditioned rooms with natural lighting, views of the tropical garden, pool or sea, modern furniture and everything else that you could anticipate from a 4-star shoreline resort are facilitated here. Guests can choose from Siesta, Siesta Premium, Vision, Sweet Dream, Sweet Dream Premium and Dream Condo rooms. 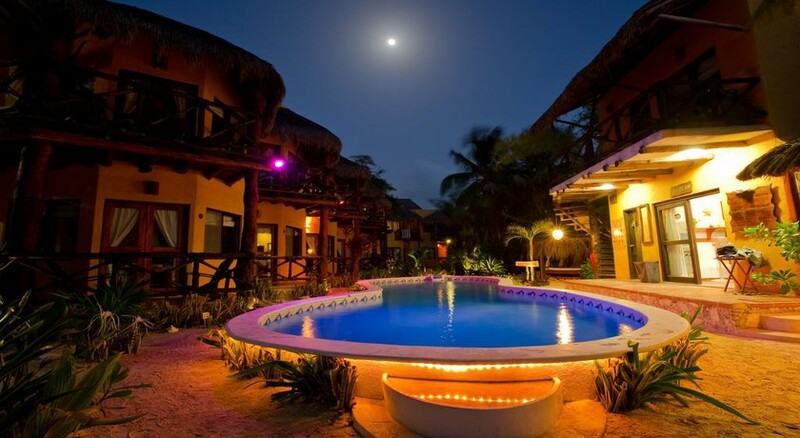 Enjoy pleasant gastronomical encounters in the most delightful settings at Holbox Dream. Restaurant Basico Holbox offers fresh breakfast, lunch and dinner alongside a selection of snacks and cocktails. The Coquitos Beach Club also allures visitors with its vintage décor and serves refreshing cocktails and fantastic, fresh seafood. 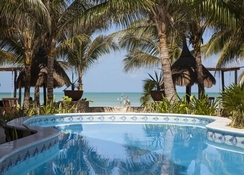 When you're not splashing in the outdoor pool, the hotel exciting organises tours and excursions around Holbox Island so guests can discover what the resort has to offer and have the chance to swim with dolphins and whale sharks. The hotel also offers relaxing spa and massage services for those who want to swap deep sea diving for day dreaming.